H264, H263, H261, XVID, MPEG4, MPEG2, MPEG1, FLV, WMV3, MSMPEG4 etc. MP4, MOV, AVI, FLV, SWF, ASF, WMV etc. 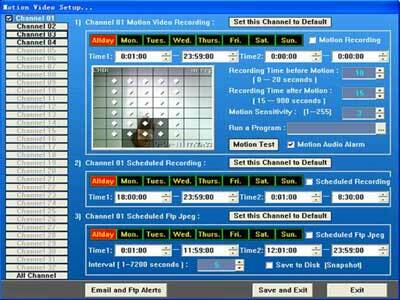 Supporting manual record, scheduled record and video motion record. The directory : TimHO_Rec, in each disk partitions, support U-Disk and Net Driver. Support more than 70 kinds of network cameras. View the supported IP camera List. Capture H264, Mpeg4, Mjpeg stream and audio stream from these network camera directly. Support Pan Tilt Zoom and preset control many network cameras. -> H264 User Name mode, don't need to know remote ip address. Supporting dyndns.org, changeip.org, dynddns.us dynamic domain service. The function of Trial Version is same as Deluxe Version, you can try this ip camera software in 21 days. You can Monitor your home or office as a Surveillance System. Embedded web server, can directly watch your remote camera via intenet browser, Flash player, Quicktime, Realplayer, Windows Media player on PC, Macintosh, Mobile phones. Capture images up to 30 frames per second from USB and analog cameras, TV boards, Capture cards. Capture H264 video stream, Mpeg4 stream, Mjpeg stream, audio stream, RTSP, ASF stream from Network IP camera direcly. Support PTZ control many network cameras. Support 32 video input and 32 audio input. Multiple cameras support, multiple video display. Simultaneous recording and broadcasting to internet, and help you to create web pages. Add camera captions, and date/time OSD on each video frame. 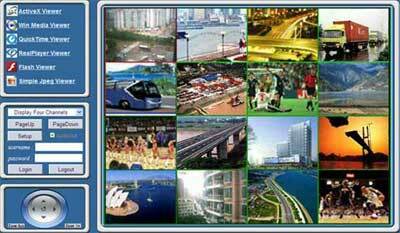 Record and Broadcasting H264, H263, XVID, MPEG4, MPEG2, FLV, WMV video. Record and Broadcasting AAC, MP3, WMA audio. Record to AVI, MP4, MOV, FLV, SWF, ASF, WMV files. Performs Live Recording that allows rewind and playback recorded content at any time. Records video when a motion is detected, and can set pre-record time. Sends alarm e-mail and ftp upload image when motion detected. Auto audio alarm when a motion is detected. Allows to define the active area for motion detection in 64 regions. Allows to start record manually. Has a comprehensive scheduler to auto record. Select record disk driver and arbitrarily combine. Checks the available space on hard drive and stops recording or automatical overlay if there is no available space. 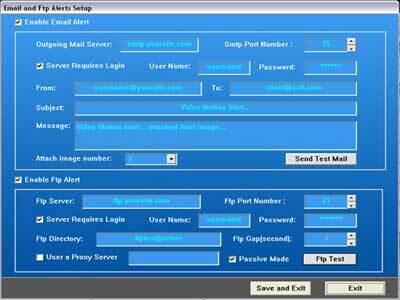 User name and password to login remote camera from net, user's privilege manage. Auto restore the disconnected net connection. After you buy deluxe version, your register code will be your unique ID. You can apply a H264 User Name like as "Mike" , so other people can connect "Mike" in spite of your ip, dynamic ip, or ip changes when program running, "Mike" is always effective ! Has feature to limit number of camera viewers. Snapshot a jpeg image at any moment. Adjust video color manually or set to default. 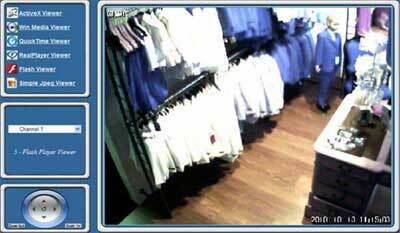 Full screen display camera 's video, multiple channel or single channel. Export the current software settings to a file. Import software settings from a file. Search log information and help file arbitrarily. Select either channel 's audio to listen, mute or unmute audio. Stealth mode makes this ip camera software completely invisible only display icon in the sys tool tray. Copyright © 2006-2016 Timhillone Software Co.,Ltd.